The last few weeks have been a whirlwind since our return from the FUN show. We’ve been processing coins left and right, and we haven’t sat down to assess the carnage just yet. In fact, there are several fresh wholesale deals that have lined up in our vault recently that we simply haven’t gotten to. We always try to take care of our customers first and foremost, so we occasionally get backed up more than we’d like. However, we are still adding coins to our website and auctions every day and will continue to do so. Our auctions have been getting a lot of attention lately as that’s where most of our newest coins go. In an effort to not inundate you with re-treads, we only run new coins through an auction one time. We are committed to always offer over 200 of these fresh selections in each Sunday Internet Auction. Of course, don't disregard our over 5,000 "Buy It Now" offerings on our website, as there are plenty of new coins in the mix there as well. Outside of the actual office happenings, I spent another day in Richmond on Wednesday visiting Mr. Jefferson’s Capitol Building. We had some very good news on our Virginia Sales Tax matter as we advanced past the Senate Finance Committee and our bill will be considered on the floor in the next week. It’s certainly been an incredible learning experience to see how local politics work in Virginia, and it’s for a cause that we think is worthwhile for collectors and dealers in our home state. Next week we promise to keep producing more new offerings and hope that you will find something of interest. Until then, thanks for reading, and we hope that you enjoy this week’s Coins We Love! Why we love it: An amazing gem cameo proof with astonishing eye appeal. Brilliant silver-white surfaces with gorgeous mirrored fields, this piece would be nearly impossible to better. On top of the physical characteristics, the legendary Eliasberg pedigree should be noted, as this coin was once owned by the foremost 20th century collector, Louis Eliasberg. Value: The PCGS Price Guide reflects a value of $22,500, and this coin will be finding a new home this week as it has already met the reasonable reserve of $17,000. 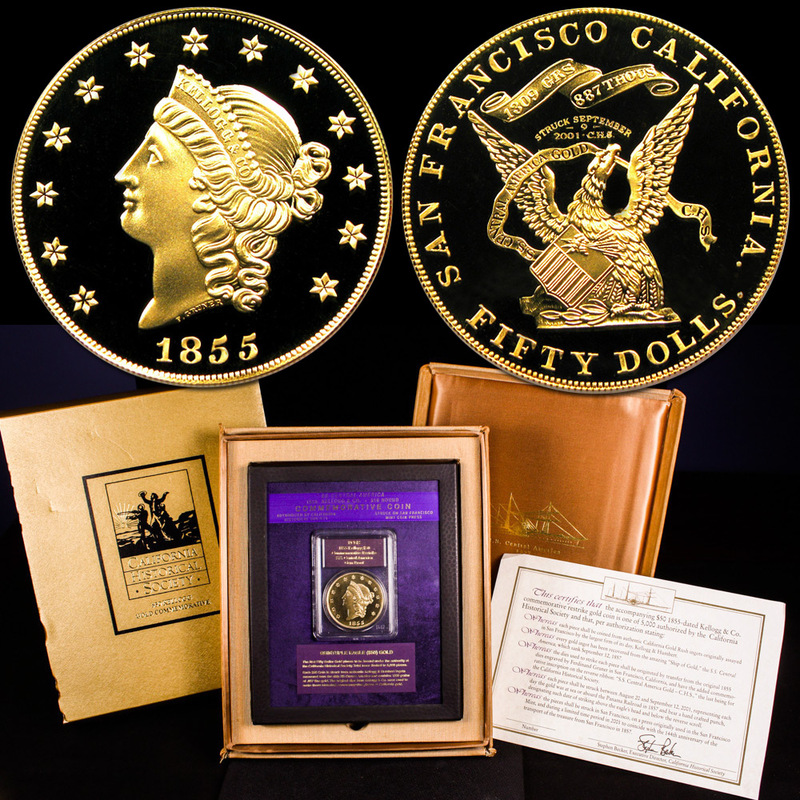 It’s a numismatic treasure that is certain to be appreciated by the most exquisite collector. Why we love it: Despite the mintage of 144,700 pieces, very few examples remain in uncirculated grades. In fact, PCGS has only graded 11 as MS63, with just six pieces graded higher. Underappreciated as a condition rarity, this San Francisco issue is a certain sleeper in the series. Value: The PCGS Price Guide sits at $5,500, and the most recent sale last occurred four years ago garnering $4,113. This piece is reserved for $4,000, and we see that as an excellent opportunity since finer examples rarely come available. Why we love it: This original superb gem is tied with two other pieces at PCGS as the finest known. 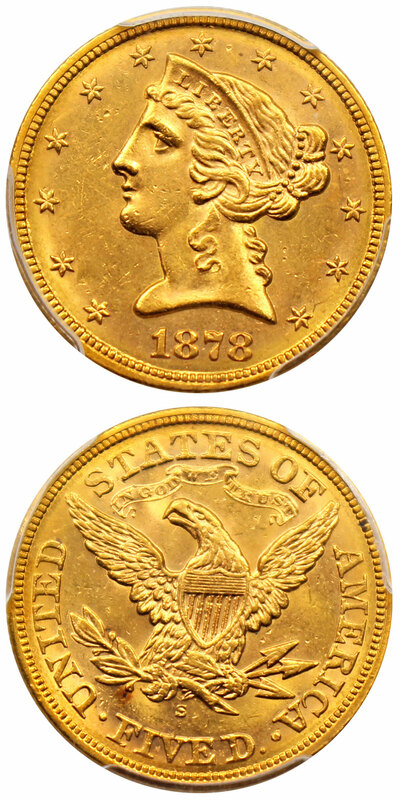 The CAC population report reflects that two pieces have been stickered, but the other coin was this one before it was graded by PCGS. Required for the collector of the finest Morgan Dollars, this is a rare opportunity. Value: This exact coin garnered $39,950 in a recent auction in October, but the buyer has moved on from the collection and has offered it for sale in this week’s auction. Reserved for a more reasonable $35,000 in this week’s auction, it’s a significant savings over the previous record. Why we love it: One from a total of 5,000 pieces issued, this collectible coin was minted from 2.5 ounces of gold from the historic Ship of Gold shipwreck, the SS Central America. Struck in 2001, these restrike issues are still incredibly popular with collectors and investors. Value: We acquired seven of these issues recently from a collector and have only two remaining. Available with the box and certificate of authenticity for just $4,000 via Make Offer, this is less than recent auction records in the $4,200-$4,400 range and is a very desirable piece of shipwreck memorabilia. Why we love it: Early 19th century copper coins have long been popular amongst collectors and this wholesome type coin is perfect for the true collector. Value: CAC-stickered pieces are difficult to locate, but we are pleased to offer this wholesome collectible coin for just $925 via Make Offer. This is a savings of $125 from the PCGS Price Guide Value of $1,050. Why we love it: Classic Silver Commemoratives have long been popular amongst collectors due to the wide variety of designs and issues. Value-wise, these pieces peaked 10-20 years ago and have been settling to lower levels until perhaps the last year or so. Now we whole-heartedly endorse these issues as popular collectibles and think that a complete set may finally be affordable, attainable, and reasonable. Value: The Greysheet bid price sits at $375, with the next grade higher going up to $940. This flashy and lustrous representation can be bid on with No Reserve in our auction! 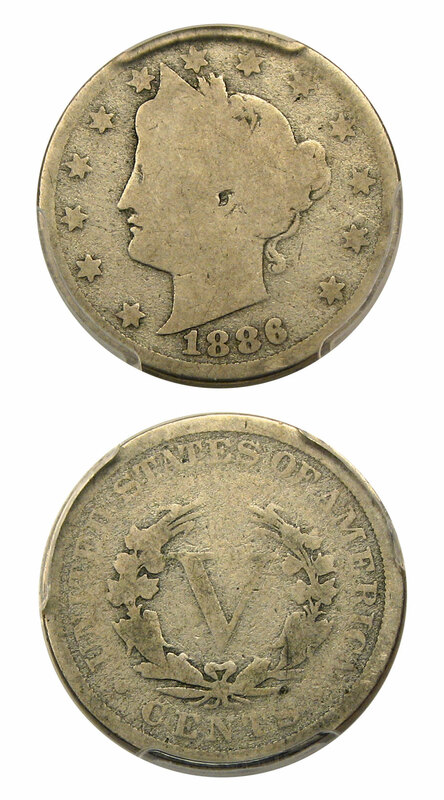 Why we love it: The 1886 is the third lowest mintage of the circulation strike issue of the Liberty “V” Nickel. Despite being a higher production than the 1912-S, it has proven to be the second rarest issue behind the 1885. 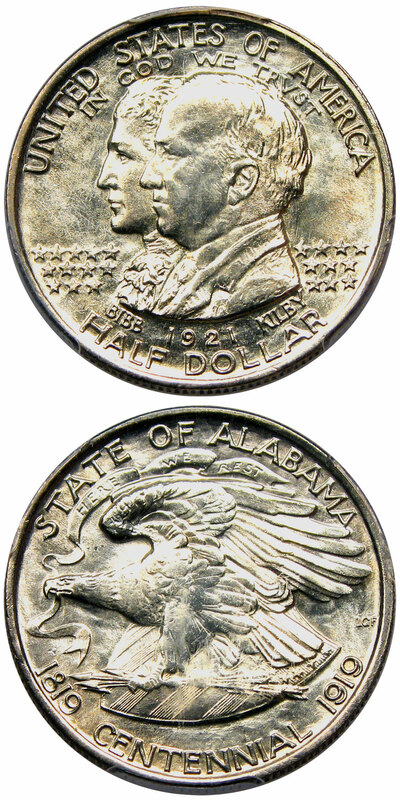 Affordable examples are readily available and are popular amongst classic U.S. coin collectors. Value: The PCGS Price Guide sits at $275, but this coin is available for just $225 via Make Offer.